Most labs have no clue what they're doing. They use outmoded LC systems to measure CBD, getting results that are wildly inaccurate, inconsistent and incapable of authentication the CBD molecule. While there are many honest hemp extract products in the marketplace, there are also many that are counterfeit or wildly inaccurate in their label claims. I have personally tested brand-name hemp products that are off by 500% in their label claims. I've found that low-cost molecules like progesterone can mimic CBD at the molecular level and fool single quad mass spec systems into thinking they are detecting CBD. I've also learned that the HPLC methods used by most labs use UV resonance, causing them to accidentally measure non-CBD "waxes" in samples as if they were CBD, vastly overstating the actual CBD content of their products. Because I am 100% in support of the hemp industry and natural medicine, I set out to do two things using the best scientific tools available today: #1) Create an accurate mass spec method for CBD quantitation and offer those services to the hemp industry. #2) Validate hemp extract brands that I could certify as being accurate so that the public can buy trusted brands that I've personally verified. Today, I am announcing the first of many brands that I have personally verified to be accurate and authentic in their CBD claims.  The brand is called Native Hemp Solutions, and it's a new brand created by a Colorado company solely for this purpose: to be 100% authenticated, accurate and honestly labeled with its cannabidiol content. Today, I am announcing that brand as the world's first mass spec validated liquid hemp extract containing naturally occurring (and accurately measured) cannabidiol (CBD). 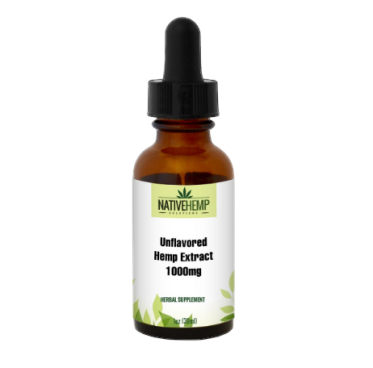 Native Hemp Solutions is a whole hemp extract, using a unique spagyric extraction process that preserves the minerals, adaptogens and a multitude of minor cannabinols such as CBG and CBN. Delta-9 THC is laboratory verified to be near zero (trace only), making it legal in all 50 states and off the controlled substance list of the DEA. This "whole hemp" extract is derived from the full spectrum of certain parts of the plant, obviously not including the buds (which are high THC). Instead, it's derived from the high-CBD components of the plant such as stalks and seeds. It comes from plants which have been naturally selected over many generations to produce high CBD and low THC. This is why the CBD content is so high in this natural spagyric extract. Get them now in 250mg CBD, 500mg CBD or 1000mg CBD formulas. As you know, CBD isn't cheap. If you shop around, you'll notice that CBD products often cost hundreds of dollars. Because their true cost is so high, there is a strong motivation for counterfeiters to enter the market and "cut" their products with cheap GMO canola oil or coconut oil, diluting the CBD concentration in their final product. This is why you need to source laboratory validated CBD products from a trusted source. I've spent 8 months holding off on recommending a CBD brand while conducting real, cutting-edge science to make sure I could stand behind a CBD concentration claim. 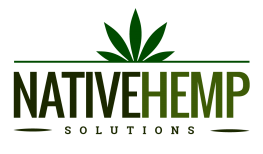 As a result, I welcome anyone to test the Native Hemp Solutions brand and quantitate the CBD concentration yourself (including the FDA). You're going to find authentic cannabidiol, accurate labeling and honest ingredients through and through. My lab, CWC Labs, also has "anti-counterfeit" technology that 100% confirms the authenticity of the CBD molecules through multiple methods, including: 1) Retention time on the LC column, 2) Accurate mass identification of M+H mass for CBD (315.2319), 3) Ion fragmentation fingerprinting and fragment validation, and 4) Isotopic spread validation based on the carbon isotopes in carbon chain molecules (carbon 13 spreads, in other words). I can state this as a fact: There is no hemp product bottler or retailer in America that has anywhere near the advanced technology and methodology we're using in my lab (CWClabs.com). In fact, many existing labs are now coming to us to validate their findings, and some of the larger CBD processors are already using our lab to replace other labs which haven't been able to produce accurate, consistent results. NOBODY in the industry has achieve this level of science. Nobody. CWC Labs is now the standard of laboratory authentication of CBD in hemp extracts. We are at the head of the field, vastly surpassing every academic institution, every government regulator and every commercial lab in the world. That's a bold claim, and it's 100% true and easy to verify. I plan to validate many brands of CBD in the near future, and we welcome other CBD companies to contact us so we may validate their products and add them to our validation list. In the mean time, Native Hemp Solutions is my first validated, laboratory verified brand of hemp extract. Click here to purchase it now. It comes with a 100% satisfaction guarantee and an additional guarantee of label accuracy. *Free shipping in United States including AK, HI & PR! Due to the large variations in laws from country to country, at this time we are only able to ship to the US and Puerto Rico.